Well, well, well. We come to the end of the classes in the PHB, having arrived at the Wizard. This one is going to be the most “yeah, but . . . ” of the classes, I think. 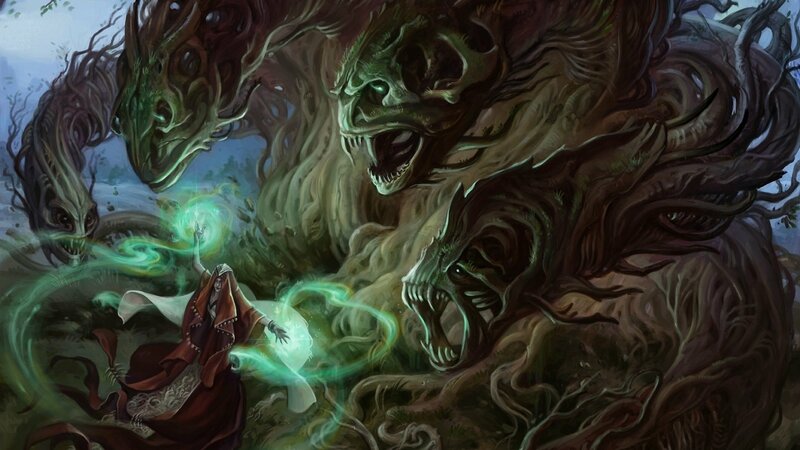 The Wizard is all about the spell list, and having the largest list, and most susceptible to the GM giving out magical spells to be copied as a reward. The Wizard is an INT-based spellcasting character, and also one of the classes that gets d6 for hit dice. Ergo, we’re looking for a race that gives a big boost to INT, and then either to CON or DEX depending if you wanted to go for an AC bonus (don’t get hit) instead of HP (stay up a tiny bit longer if you do). I actually initially chose Rock Gnome with War Caster as a Feat, but then realized I could do something different with the High Elf and a stat bonus. So I went with that. I put my best score into INT (16), then CON (15), then DEX (14). CHA and WIS took the 13s, leaving 11 for STR. This is a nice set of stats. Better, in fact, than the Rock Gnome variant I had down originally, and I hit the +1 for 4th level in INT and CON, so the 16 and 18 came late, but when they do, it provides a very nice rounded set of stats. Saving throws are INT (+7) and WIS (+4); WIS will hit +5 quickly if you can spend a stat bonus on it, but then you might want to push INT to 20 first. I tend to like more well-rounded characters, but that’s not really the point of this exercise. I suppose if it were, and since I did luck out and roll a single 16, I could (again) go Rock Gnome and be INT 20 by 4th level. I went with a fairly stereotypical background for a Wizard – the Sage/Researcher. This hits up the critical skills of Arcana and History, and that allowed me to pick up Nature and Investigation as also INT-based skills befitting an elf with a long time studying things magical and natural. That gives +7 in those skills, +4 in Religion, and +1 to +3 in everything else. Passive Perception ain’t all that, at only 11. He does speak five languages, though. That’s pretty good. From a mundane combat perspective, this Wizard has a reasonable one-shot. Light crossbows give him a d8 for base damage, and DEX 16 is respectable. He’ll need/want to use Mage Armor to push his AC to a base 13, which brings him (surprisingly) to AC 16, much like the Ranger in full stealth mode. To Hit: +3 with DEX, no bonus with STR. With a dagger, he’s 1d20+6 to hit (finesse weapon) and 1d4+3 to damage (4-7 points). The light crossbow puts him at 1d20+6 as well, but with 1d8+3 for 4-11 points. Never do this, though. Fire Bolt is 2d10 to 120′. This, of course, is where it’s at for the Wizard. As this exercise is “do the most damage you can,” I chose a set of fairly standard fire and brimstone stuff. You start with six first-level spells, and then gain two spells per level after that, but only in things you can cast. That means without finding extra spells from books and scrolls, by 6th level I think you basically have 8 1st level spells, and four each of 2nd and 3rd level. Plus four cantrips. You’re a “full” spellcasting class, so you go to 9th level and pick up a new spell level every other time you level up. I’ve tried to not just lather up on all pain, all the time. It would be easy to do. Blade Ward – resistance to mundane weapons, so long as you give up being proactive. With only 44 HP, this is somewhat useful if you find yourself beseiged and out of other options. Chill Touch – 2d8 damage, but your foe can’t regain HP until next turn. Light – someone has to. Chromatic Orb – I love this spell, because of dial-an-effect. If you can make a roll to know what a foe is vulnerable to, this is like 6d8 even with a 1st level spell slot (because double damage if you’re vulnerable). Even at 3d8 it’s not bad, and you can hit for 5d8 with a third level slot. Again: if you (say) have something vulnerable to X, hitting them with X can be 8-80 HP in one shot. Detect Magic – detect loot! Find Familiar – darn handy, and you only need to cast it once. Extends “touch” range spells to 100′ by casting through him, can be used for recon. Mage Armor – an important 8-hour boost to AC. Magic Missile – free damage, no waiting. Only 1d4+1 per missile, three missiles, but hey – 6-15 for a first level spell slot, and can be used on creatures with AC too high for your compatriots to smite. This spell killed a dragon in my last game. Sleep – I wrote about Sleep here, and it’s basically an off switch for about five 1 HD creatures. Especially good if your friends have softened up a small group, because it works in ascending order of current HP. Shield – Negates magic missile and probably stacks with Mage Armor, giving you AC 21 for a turn . . . as a reaction. Witch Bolt – who doesn’t want to be Emporer Palpatine? If you can hit, you can keep the pain on for a full minute at 1d12 each. Ray of Enfeeblement – foe does half damage for a minute. Good for big, hulky creatures, and those with lowish CON. Scorching Ray – 2d6 per bolt, three bolts, +1 more bolt per spell slot level. A bit more discriminating for targets than Fireball, but more or less equal in damage if you’re only looking at damaging one target. Blink – because sometimes you want to be elsewhere, right the heck now. And now. And now. And that way for a minute. Since you can go anywhere you can see, this can be a seriously fast rate of get the heck out of Dodge. Fireball – All about the boom. 8d6 in a circle, DEX save for half damage. 20′ radius and 150′ away. Lightning Bolt – ZZZzzzap! 8d6 to 100′, any creature in a line 5′ wide. While those are the spells known (assuming I haven’t come across any more in my travels, which is a poor assumption), each long rest I can prepare 10 spells each day – any spells (Wizard level + INT modifier) that I know. I cast from my spell slots (4/3/3 at this level). So I could notionally prepare a crap-ton of 1st level spells, and cast them at any appropriate level. Or a mix of levels (most likely). Because I’m doing a “damage dealing” exercise, I went with evocation. Frankly, this maynot be the best choice given my spell selection, but it seemed appropriate. That choice gives some interesting abilities tied to my selection. Arcane Recovery: once per day I can gain back up to half my level in spell slot levels (one 3rd, one 2nd and a 1st, or three 1st level slots). It’s not as nourishing as a long rest, but it ain’t bad in a pinch. Sculpt Spells: I can exempt 1+spell level creatures I can see from my spells’ effects. So four friends can be exempted from (say) a fireball. Not sure if +Tim Shorts had this feature when he tried to burn my Paladin (Marcus) alive in our previous game. I’m hoping not, but some people just want to watch the world burn. Potent Cantrip: Half damage even on cantrips that you make a save from. Poison Spray would be 2d12, halved on a successful save. Not bad. • Feature: Researcher When you attempt to learn or recall a piece of lore, if you do not know that information, you often know where and from whom you can obtain it. • Arcane Recovery Once per day when you finish a short rest, you can choose expended spell slots to recover. The spell slots can have a combined level that is equal to or less than 3, and none can be 6th level or higher. • Ability Score Improvement – Level 4 – Increase one ability score of your choice by 2, or increase two ability scores of your choice by 1. 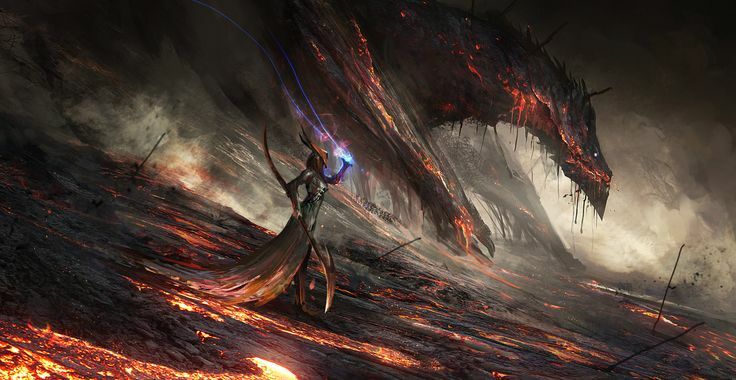 The versatility of the Wizard, and of course that it hews to the old-school feel of what a D&D magic user has been for rather a long time, is what make this class interesting. I was somewhat surprised at how the Wizard’s AC was somewhat easily punched up to 16, but that’ll cost a spell slot per 8 hours. Lacking cloaks or rings of protection or magical robes of some sort, this will probably be as good as it gets for a while. HP are low, but boosting CON made it not terrible. Lacking that boost (silly, silly), HP could be as low as 26 HP, which is 2 HP higher than the minimum one-turn damage for my dual-weapon fighter choosing to use Action Surge. Pretty much “you stand next to an equivalent-level fighter and you’re going down” territory assuming he hits you frequently. And four attacks at 1d20+8 vs AC 16 will hit 65% of the time, so you can expect to take 25 HP even accounting for misses. The versatility of the class, and the ability to solve many, many problems with magic given sufficient time to prepare and good foresight, make this a fun class to play. Once you get to high level, you’ll be looking at things like Sunburst (8th level evocation) which does 12d6 radiant damage in a 120′ diameter circle, or the mighty Meteor Swarm (9th level evocation) for four 80′ diameter spheres, each striking a point within a mile. Each blast hits for 20d6 fire and 20d6 bludgeoning if the poor sap fails a DEX save. So boom. There are so many ways to make a wizard. Sneaky as hell? No problem – master of illusion and movement. Protection? You betcha. Evil (or even not-so-evil) necromancer? Check. Once again, the character I chose to create was more imagined as a somewhat blunt instrument. I’ll be working up a summary of all of these guys soon, as well as a few other things that I’m curious about, such as a comparison of fighting styles for Fighters. Until then, I hope you enjoyed the walk through the PHB 5e classes.